The best way to get to know a community is by scheduling a tour. 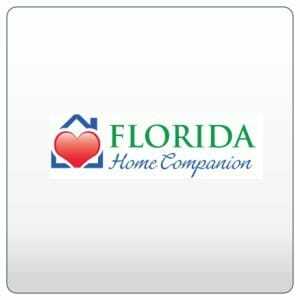 See the facilities, meet the staff and residents, and get a feel first hand what it's like to live at Florida Home Companion Home Care. We offering extremely competitive pricing because we are owner operators and do not operate under a franchised name that requires royalty payments. This allows us to pass on those savings onto you. Our goal is to provide the same level of care that we would want for our loved ones. We do this through a strict hiring process where we look for individuals who not only are licensed professionals, but are a pleasure to have around family and your loved ones. All of our caregivers have passed state mandated background checks, personal reference checks with previous employers, and a skill review from our head Registered Nurse. Please call us with all questions and we'll be happy to meet with you at the hospital, home or facility at no additional cost and at your convenience. Our family looks forward to caring for you and your family. For more information or a free consultation please call us at 407-478-5469.